It’s said that finding true love is akin to catching lightning in a bottle. The same can be said of wedding photography. It’s about the chance moment. The glance. The look. The lightning between two people. In setting out to document your day we're always on the look out for the small details. The rush of anticipation, the welcoming of family and friends. The hustle & bustle of getting ready and getting to the church on time. The bending of time as the ceremony floats by. And then, the burst of fun and pure joy that will rumble on into the wee small hours. We believe it’s the small details that really tell the big picture. Our specialty is creating an honest, natural visual narrative of your wedding day. Catching moments, big ones and small ones as naturally as possible. We love laughter - but when it’s natural and real. We also love tears and nervous looks. We like windswept hair, and the not-so-perfect reality of life. We don’t mind the rain or a veil blowing wildly in the wind. The giggles & the snorts. Guests laughing so hard they spill wine on themselves. Our photography is as much about how you feel as how you look. We are there to help and give direction when needed, but prefer situations that encourage authentic emotion. Honest & meaningful photography, that's what we do. What about the family photos? What would a wedding be without chasing around the family for a few ol'photos? While we do put emphasis on the naturalness of the photography, we also know family photos are important at weddings. We also believe our couples want to spend a limited time away from their wedding doing them. Our approach to family photography at weddings is simple. We have a suggested list of 6-8 photos for immediate family. We understand that weddings aren’t all the same, so of course there is some variation expected on this list, but our interest is getting the key family “mantel piece” photos in a quick and efficient way so you can get back to the fun of the main event. Honestly, forget about all the waffle above. If you want to see what I’m really about as a wedding photographer, the collection of images in the piece below will say it better than any number of paragraphs I can put together. Moments, smiles, laughs, tears, family, friends. It’s under 5 minutes, most of the photography comes from my most recent weddings. Turn on the sounds and press play. There's a time to be humble and there's a time to make some noise. 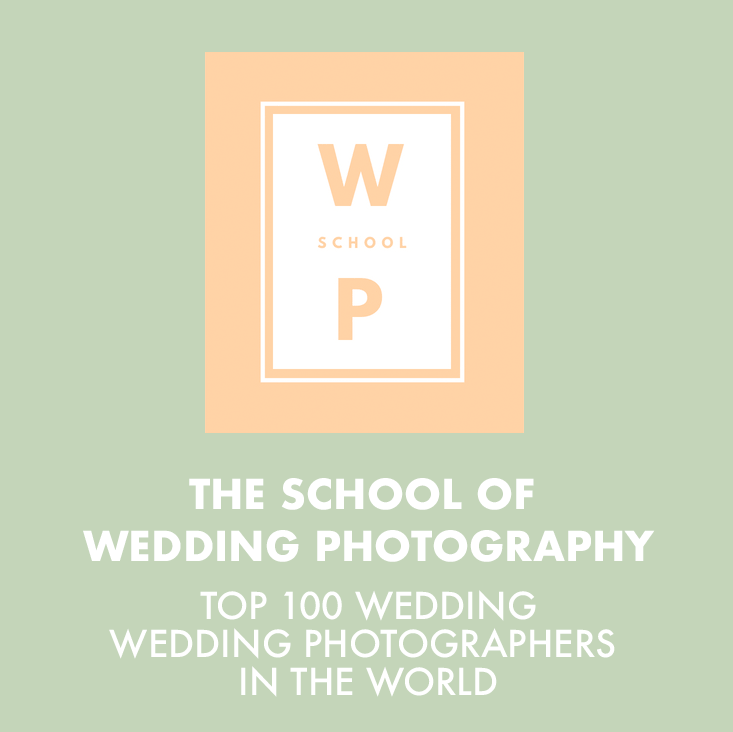 These days you can't swing a camera without hitting a wedding photographer, so we're going to use this opportunity to - proudly - let you know that we've won some fabulous awards over the years. In fact, as far as wedding photography goes we're pretty much at the top of the fancy awards pile. Just one of the many things that sets us apart from the rest. Savo Photography has 12 years and over 500 weddings under it's belt. That's a lot of cake! We've put in our 10,000 hours to really master this craft. As they say, with experience comes wisdom. They also say when it's all over all you'll have is one hell of a hangover...and some photos. Some really, really nice photos. Savo Photography is husband and wife team Eric & Siobhan. Siobhan quite literally “bumped” into Eric late one night on a street corner (I know!) in Durty ole Dublin, way back when they were both young and almost good-looking. The month was October (he says November), the year was 1998 (they agree on that one). Let's just say there was chocolate involved. They got married and now live in the beautiful wilds of County Wicklow with their amazing kids (Thomas + Tess) and goofy dogs Chomper and Mr.Fitz. Born and raised on the shores of Eastern Canada, Eric upped sticks and moved to Ireland in 1998. He is the photographer and travels throughout Ireland, Europe and the World to capture the thrills and excitement of weddings of all sizes. Eric will guide you through everything up to your wedding day, treating you to coffee and chats along the way. Eric is one of Ireland's most experienced, sought-after and respected freestyle wedding photographers. Siobhan was born and raised on the Eastern shores of Ireland…OK, enough of that. Siobhan takes care of all the beauty that happens after your wedding. She will take you through the process for your albums and printing / framing needs. Siobhan designs your wedding books like they where her very own, all the while drinking strong cups of tea. She does not travel far and wide, she stays home. She says the background stuff has it's own little glories and victories. Chomper is a bit of a mystery. He came to Savo in a roundabout way after a family friend found him abandoned in a car park. As fate brought Eric & Siobhan together, so did it bring Chomper. Truly a canine geneticist's dream (or nightmare). No one can quite make out what Chomper is. Some days he's more black lab, some days he's more collie, some days he's more springer spaniel. Whatever he is, as one of our friends put it, "he's a lot of dog!" The newest member of Team Savo. Mr. Fitz joins us from the upper regions of Co. Dublin. While he may look small and cuddly, he’s a ferocious killer. Waiting to lick any intruders into submission. Mr.Fitz will be sure to alert the rest of Team Savo of any postmen, cats, birds, small rodents, gusts of wind, rain…you get the point….he’ll bark at anything. We don't expect you to take our word on how great we are...even if we do think we're pretty amazing. See below for a small portion of the flattery our happy couples pour on us about their SAVO experience. The photos are absolutely stunning! We had the pleasure of viewing your work on our projector on Tuesday and I don't think either of us blinked once as we remained in such awe of your gorgeous work. We both agree that our wedding day couldn't have been captured any more perfectly, and we would like to thank you for being a huge part of our wedding day. These memories are something that will be cherished for the rest of our lives. We are both very eager to share these beautiful moments with our close family and friends. We want to express our gratitude to you, not only for the amazing photos, but for making us both feel so comfortable on the day. I think it was pretty clear how nervous I was around the camera but you made it so easy and light-hearted. It was a pleasure to have you around the house in the morning and to have you as part of our special day. After receiving the photos we really are amazed at how you seemed to be everywhere and captured the day, the emotions and the details so well without being in anyway intrusive. We absolutely love the natural vibe to the photos and to get to look back on things we missed on the day. I have had it on replay every night! We took your advice and sat with a glass of wine to watch the slideshow. To say we were thrilled was an understatement. Absolutely overwhelmed with all the special moments you captured on the day. Christy says he has never seen anything like it in his life!! We can't believe how lucky we were to have you capturing our day. I've had so many enquiries about you already since posting photos yesterday. I cannot recommend you highly enough and look forward to seeing you again in June when I'm bridesmaid at Caits wedding in Athlone. Again thank you so much Eric. That's only a small sample of the very generous feedback we get from couples in our mailbag every week. We get so many Thank You! cards we recycle them into cardboard bricketTs that heat our house in the winter. If you have time on your hands and would like to read more of the fabulous things people say about us, click the button below.